This term at school my 4 year old daughter is learning all about Space! 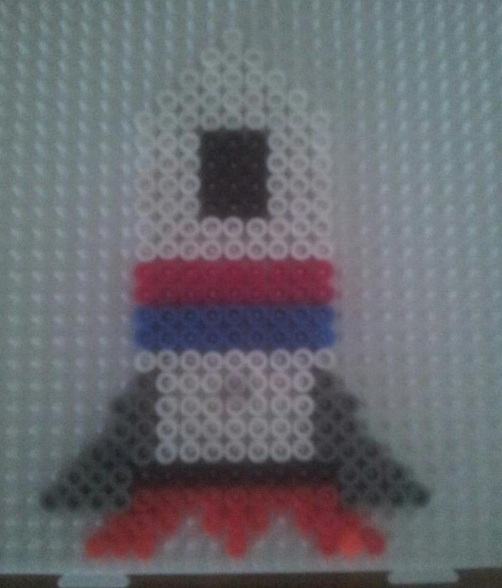 So it is only fitting that we take this opportunity to make some speace related Hama Bead Designs including this Rocket Ship! Why not make your own Rocket. Change the colours, make them bigger but remember to visit our Facebook page and share what you have done! What you require to make my Rocket Ship design. Colours required – Here is a list of the colours you will require to make my Rocket Ship Pattern and the part number of the individual coloured (1,000) packs.